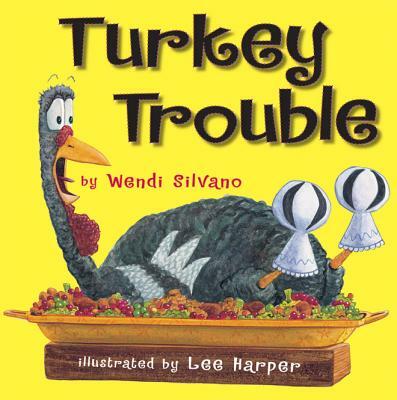 Thanksgiving is approaching rather quickly and there are tons of books that I would recommend reading, starting off with Turkey Trouble by Wendi J. Silvano. In this hilarious tale, poor turkey is desperately trying to avoid being served as dinner by disguising himself as other farm animals. The illustrations, which were done by Lee Harper are an absolute hoot. Run,Turkey, Run! by Diane Mayr is another classic tale in which the turkey is trying to hide from a farmer, who wants to make a tasty meal out the plump bird. Turk and Runt by Lisa Wheeler, tells the story of Runt, who is a smart turkey that keeps his family from being eaten. Perhaps you would like to read about how the pilgrims and native Americans celebrated Thanksgiving by reading Diane Stanley's Thanksgiving on Plymouth Plantation or Thanksgiving on Thursday by Mary Pope Osborne. You may also want to know about why we follow certain traditions during our holiday of thanks by reading Martin Hintz's Thanksgiving: Why We Celebrate It The Way We Do. Personally, I love cranberry sauce and turkey stuffing, but often wonder why those particular items make it to the table while pumpkin tortellini does not. Speaking of food, maybe you'd like to make dish for your Thanksgiving feast, so why not check out a cookbook, such as The Native American Cookbook by Edna Henry or The Little House Cookbook by Barbara M. Walker. You may also want to make a craft or two for your dinner table, so why not check out Thanksgiving Crafts by Judith Hoffman Corwin. You could decorate the table by making pilgrims and native American mini people out of cardboard tissue tubes and colored paper or turkey place setting cards.